If you’ve always wanted to read War and Peace, but thought you’d need to be some sort of superhero speedreader to make it through Tolstoy’s lengthy tome, then a new app might offer you a sense of hope. 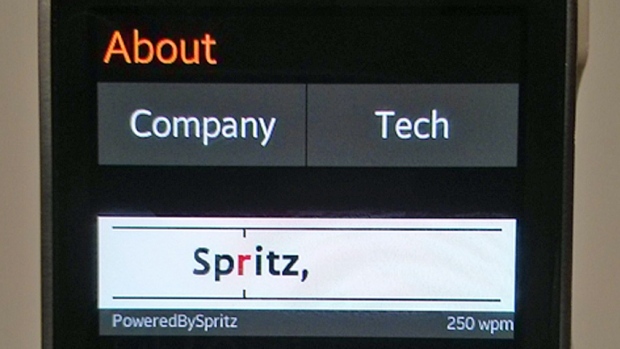 After working for three years in self-described “stealth mode,” U.S. technology start-up Spritz is ready to go public with its speedreading app — also named Spritz — which will be released for the upcoming Samsung Galaxy S5 smartphone and the Gear 2 watch. via Read a novel in 80 minutes? There’s an app for that – Technology & Science – CBC News.